This is my third year with a small vegetable garden in the backyard. All of it is in containers except the herbs, they're in a raised bed. I've seen a variety of bugs over the last few years, most of which I've been able to identify. But I don't know what these bugs are, they're all over my tomato plants. I wanted to try marigolds for bug control this year, but the aphids have already beat the blooms. 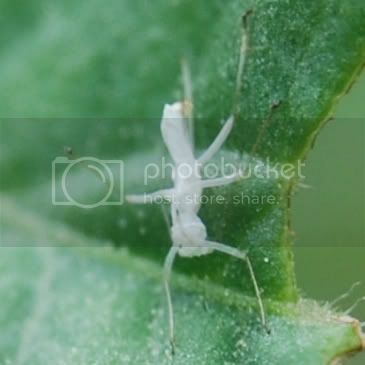 I just sprayed with Sevin, that should get rid of them, but I'm still curious as to what these white bugs are, they're just a little bigger than the aphids. Those would be whiteflies. 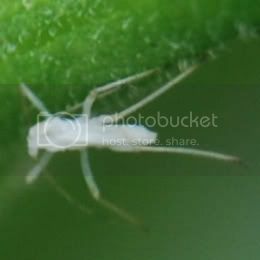 They serve the same "purpose" as aphids: pest, and potentially harmful to your plants if left unchecked. You're on the right track with the marigolds, but no sevin! I did find last year that sunflowers are an excellent trap crop when planted around tomatoes. They attracted huge numbers of leaf-footed bugs and aphids, and they are sturdy enough that said bugs and aphids don't do enough damage to seriously hurt them. There are plenty of non-chemical ways to control these guys (none of which is coming to mind this early in the morning); just hit the search button up top and look for whiteflies. That said, be careful walking under those sunflowers. I'm most definitely NOT a bug person, and found myself in a low-pitched swarm of LFBs at one point while harvesting tomatoes. Fastest I'd run in years. 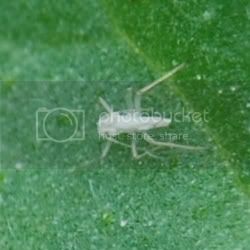 I learned the bad way - do not wait to eradicate those whiteflies. A couple hundred can turn into a couple thousand in a few days and millions in month. The best way I have found to deal with them is to mix up a batch of Safer Soap/Neem Oil and apply to the plants - from top to bottom, using one of those liquid fertilizer sprayers, the kind that attach to a garden hose and allow you to set the concentration. This allows you to get the top and bottom of leaves. You will need to do it at least every other day for the first week and then as needed. Parasitic wasps, which can be ordered on-line also prey on them.